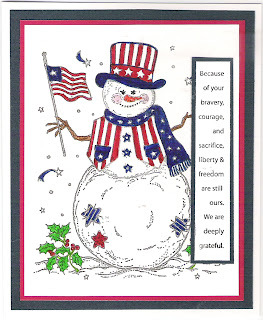 This card was made for the Veterans this past Thanksgiving. 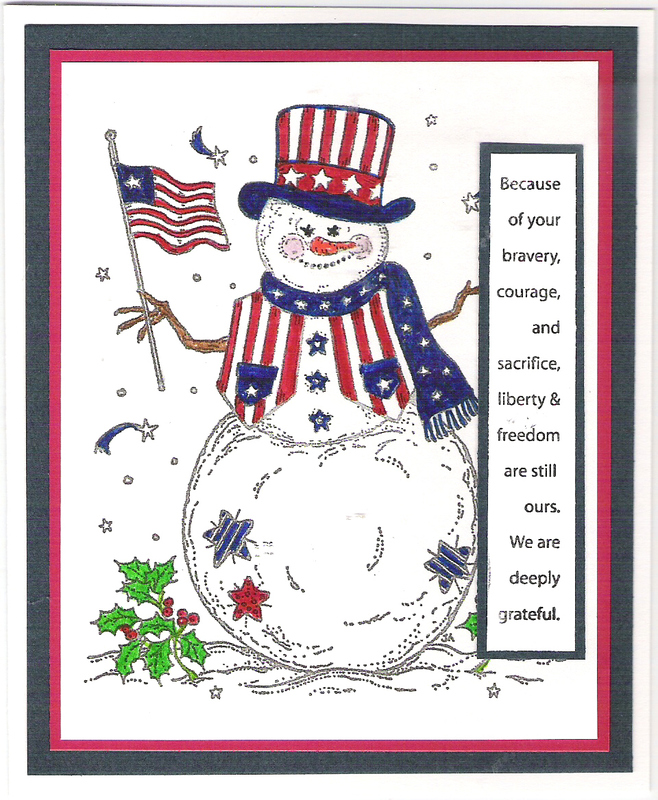 Another stamping group I belong to (of five people) makes 10 cards each so one of the ladies can pass them out to the Veterans at a nursing home. I don't have the stamp for the snowman with his red, white and blue vest and hat. Someone stamped off an image for me since I loved it so much. The verse on the front is half a stamp from Paper Inspirations.